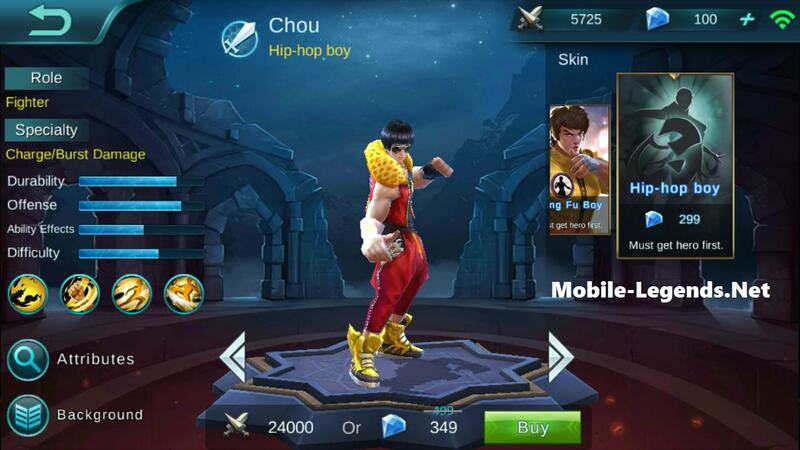 Chou, the Kung Fu Boy, he is very good fighter and has durability also damage. Little difficult but you can learn very quickly by Chou play practice. First learn to Chou passive and him skills. 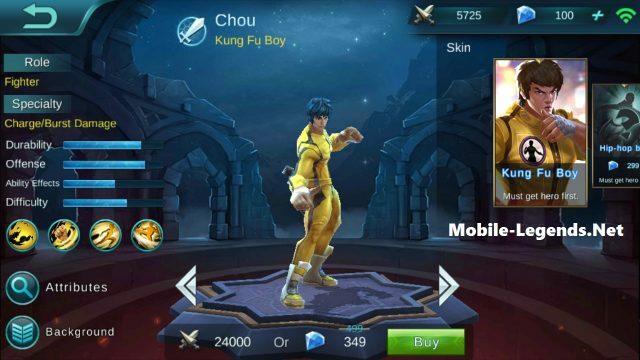 Then you should buy Chou items. 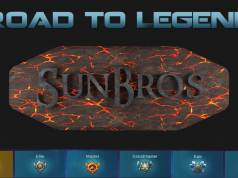 I will help for the items and builds. Passive: Only Fast, After every 8 yards of movement, the next basic attack will deal 200% pts of damage and stun the target for a while. Skill 1: Jeet Kune Do, Punches forward to attack for 3 times, dealing 120 pts of physical damage. Former 2 attacks will lower target’s movement speed 60%, the 3 attack will knock nearby enemies airbone. Usage of this skill will refresh the cooldown on your next Transient Pace. 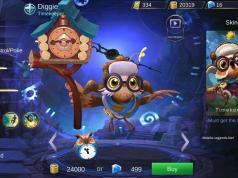 Skill 2: Shunpo, Wages a short-range charge, invincible and immune to control skills while charging up. Within 2s after the charge, attacks will ignore target’s armor 3, stacking up to 3 times at most. Ulti: The Way of the Dragon, Casts a roundhouse kick to knock back to target and deal 320 pts of physical damage. Use the skill again to chase up the in-the-air enemy and deal at least 320 pts of physical damage. 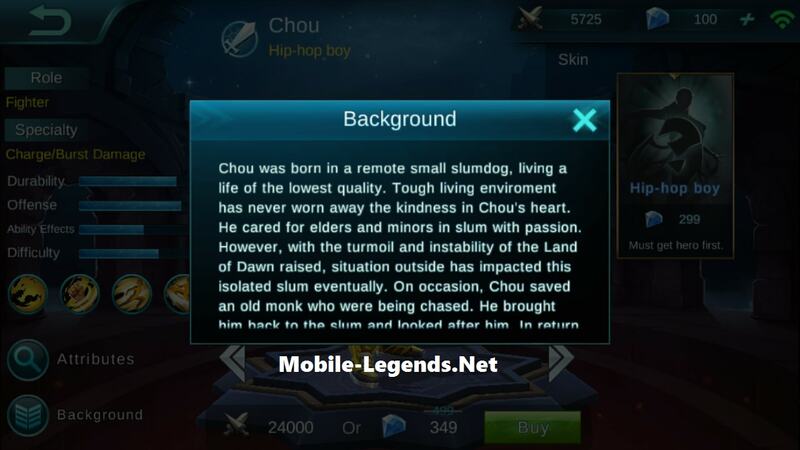 Chou was born in a remote small slumdog, living a life of the lowest quality. Tough living environment has never worn away the kindness in Chou’s heart. He cared for elders and minors in slum with passion. However, with the turmoil and instability of the Land of Down raised, situation outside has impacted this isolated slum eventually. On occasion, Chou saved an old monk who were baing chased. He brought him back to the slum and looked after him. In return, the old monk imparted the ancient Asian Kung-Fu skill to Chou, and told him that the world needed a real hero to stand up and end the turmoils. After finishing his appreticeship, Chou swore before the old monk that he would become a real hero. Then he started his journey to the center of the Land of Dawn without even looking back. Towards Chou’s distant silhouette, the old monk noded, and drifted away.